Chicago Film Archives is dedicated to connecting the public with the many stories embedded in Midwest films. CFA provides the following services to make sure that our regional films become accessible and meaningful to a wider audience; to ensure that even the quirkiest and most personal films are cared for properly; to encourage a variety of interpretations of our past with provocative programming; and to enrich the stories made by today’s filmmakers. 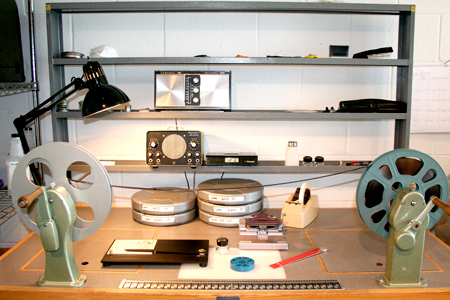 These services are provided by experienced CFA film archivists, programmers and producers. The profits from these services support the ongoing task of preserving and storing CFA’s numerous film collections for people today and in the future. We consider our customers part of our preservation team.